This delightful picture book could well qualify as a child's first foray into the horror genre - in a whimsically creepy sort of way. This story, told in rhyming couplets, features "two children, their diminutive but no less courageous gazelle, and a large number of extremely dangerous trolls, monsters, bugbears, creatures, and other such nastinesses, many of which have perfectly disgusting eating habits and ought not, under any circumstances, to be encouraged." 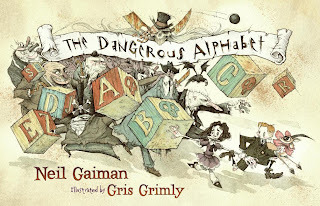 I had no idea that Neil Gaiman had written a picture book until I read Chris's irresistible review of it. Thanks, Chris! The two children take a spooky boat ride into the hidden underbelly of the city, replete with all the nasty creatures mentioned above. Their exciting adventures are recounted in simple rhyming couplets, and the wonderful accompanying illustrations offer a variety of objects that start with each alphabet letter. My children, well beyond the usual age for alphabet books (seven and nine years old), had a great time reading the book with me, looking for objects that started with each letter - as well as the out-of-order letters. My seven-year-old was particularly taken with the children's pet, bursting out as we read with, "I just LOVE the gazelle!" This book might not be for every child, but for those who enjoy a bit of creepy atmosphere and humorously gruesome characters, it's a must-read. And a great gift idea for Halloween! I just read this book a few weeks ago and thought it was just so weirdly funny. Definitely the kind of thing slightly older kids might found hilarious. I agree - I found it hard to choose an age range because I think it's appealing to all ages (at least to those who enjoy this sort of thing), but maybe not the really young ones, who might not see the humor. I'm glad you enjoyed it too! I'm so glad that you and your kids enjoyed this one Darla!! This book made me wish that I had children just so that I could read it to them. But I'll be saving it for when I do (like I would throw any other book away). It was such a fun little book and I loved the illustrations. It was the first time I had seen any of Grisly's work and I really liked it! This book sounds fantastic. I'll have to look for it. I hinted to my family very strongly that this would make the perfect Mother's Day gift...but alas it was there under the old Mother's Day tree. :( Guess I'll just have to buy it myself. Why haven't I ordered this yet?? What's wrong with me? He has a few other picture books that you and your children might enjoy: The Wolves in the Walls and The Day I Swamped my Dad for Two Goldfish. But are great, but I'm particularly fond of The Wolves in the Walls! 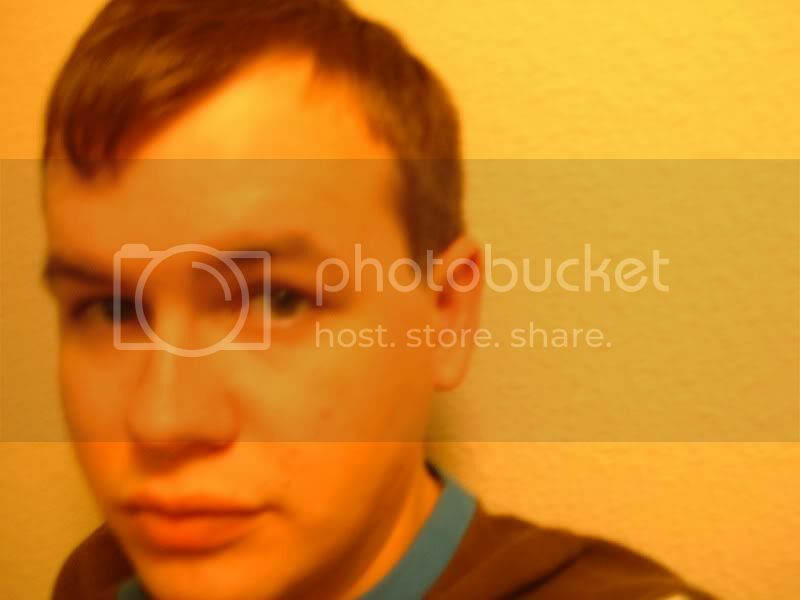 Thatsthebook - yes, it is a lot of fun! Nymeth - I admit that I'm surprised you don't have this one! We love The Wolves as well as The Day I Swapped my Dad - they are wonderful! I think I would like that book! Thanks for the recommendation! Irresistible Review Challenge book giveaway! Sibling rivalry at its worst!